Tecomanthe hillii is a member of the Bignoniaceae family and is native to Fraser Island Australia. 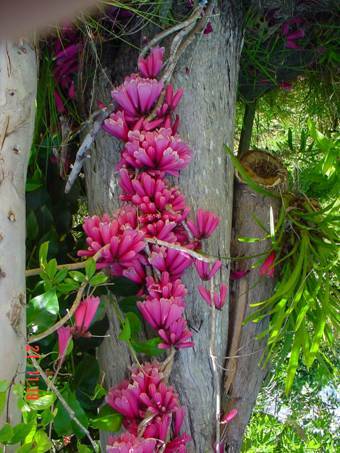 The Fraser Island creeper is a beautiful and spectacular Australian vine from the Queensland region. It is evergreen and flowers in late winter through to late spring. 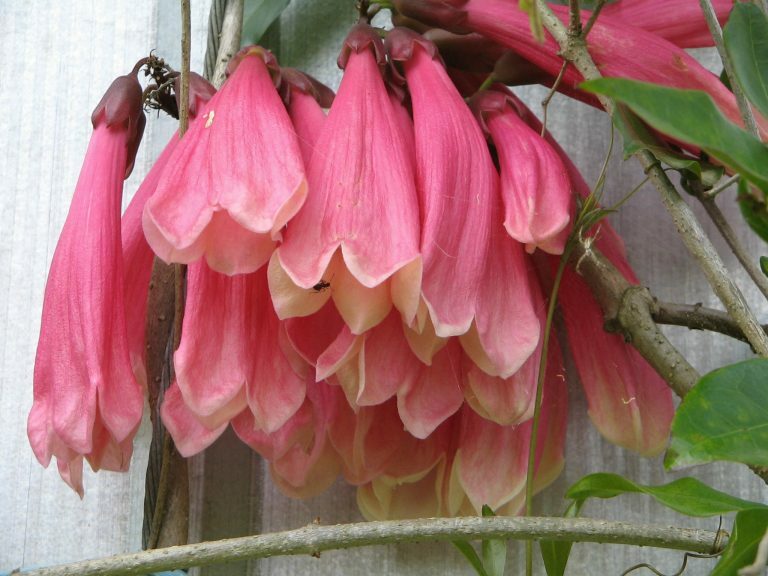 The flowers are deep pink with a whitish throat and are 150mm long in bunches of 8 to 12 on all nodes of the vine as well as old trunk wood. The Fraser Island creeper likes dry between watering to constantly moist conditions and is suited to coastal plantings. ENJOY THIS BEAUTIFUL AUSSIE CREEPER!